Cattle farming is not only one of the oldest industries in Canada, but also the world. 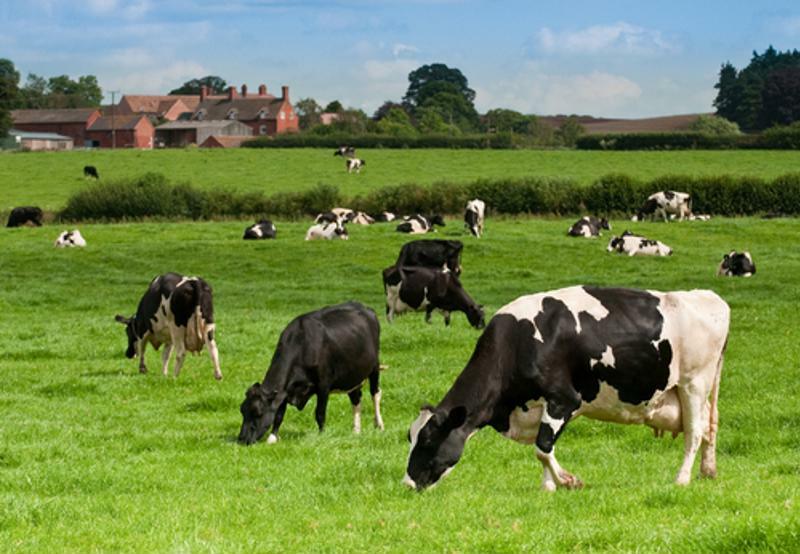 Billions of people rely on the ever-reliable bovine for their dairy needs. And in an effort to help Canadians do more with this key food group - as well as assist farmers with their farm management - Ontario is building a dairy research facility in Elora. The Ontario government recently announced its plans to build a livestock research and innovation dairy facility in Elora, with a projected cost of $25 million, the Ministry of Agriculture, Food and Rural Affairs announced. The facility will also provide an avenue through which new food products are developed that are safe and healthy for consumers. The multi-discipline research center aims to help dairy farmers, industry stakeholders as well as aspiring dairy farmers collaborate to share ideas and concepts about how to keep the industry moving forward. Furthermore, the Ontario government indicated that the research projects that will be done at this facility should help farmers and ranch owners determine what the best practices are for managing livestock, outlining how to make operations more efficient and keeping Ontario dairy farmers competitive with other farm operations through the development of innovative technologies. "The new Livestock Research and Innovation Centre is an excellent example of how industry, government and academia can work together to ensure Ontario's livestock sector remains innovative, competitive and a leader in the agri-food sector," said Jeff Leal, minister for the Department of Agriculture, Food and Rural Affairs. "Ontario's dairy farmers and stakeholders, with the support of the Ontario government, are committed to leading research in animal husbandry, environmental sustainability and best management practices to ensure the highest quality dairy products for Ontarians." Franco Vaccarino, president of the University of Guelph, added that the facility has the potential to make Ontario an industry leader in livestock innovation and development. Ontario's agriculture is extremely diverse, providing fresh fruits and vegetables to the Canadian population as well as the world through free trade, not to mention grains, beef, eggs and other homegrown products. There are roughly 4,000 dairy farms in Ontario alone. "There are more than 12,000 dairy farms operating in Canada." The dairy industry, however, is Ontario's second-largest agricultural sector of them all. Of the province's 4,000 dairy farms, roughly 2.5 billion liters of milk are produced each year, according to government data. That's enough to fill the home of the Toronto Blue Jays, the Rogers Center, twice - from top to bottom. "The Canadian dairy industry is a mainstay of the economy and represents one of the largest food industries in the country," said Wally Smith, president of Dairy Farmers Canada. Smith added that dairy farmers do a world of good for the Canadian economy by increasing milk production - which is purchased by consumers - and by creating jobs. Additionally, the industry makes a substantial contribution to Canada's gross domestic product, adding nearly $19 billion in 2013, up from $15 billion in 2009. The same goes for taxes. The Canadian dairy industry added $3.6 billion to the country's economy through local provincial and federal taxes in 2013, the latest year for which data is available. For more than 60 years, FBC has been providing tax preparation services to dairy farmers. Maintaining a dairy farm is a 24 hours a day, 365 days a year task. So too is tax planning. With FBC's financial services, you can leave this to the experts so that you can devote more of your attention to producing a quality product for your customers.